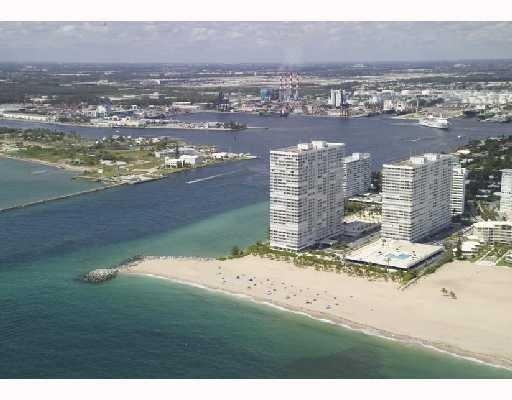 Point of Americas complex is made of of 2 buildings on 10 acres on one of the nicest private beaches in Fort Lauderdale. At Point of Americas you can actually watch the huge cruise ships pass through port everglades right from your residence with amazing views north and south down the ocean and intracoastal waterways as well as the Fort Lauderdale sky line. Some of the ammentities at Point of Americas include two pool and garden areas, three fitness centers, gourmet restaurant, party rooms, library, hotel suites for guests (which is very rare) and much more. Point of Americas is trully a unique property with views you wouldn't be able to see from other condo buildings in the Fort Lauderdale Real Estate market. Eric Miller and Associates, are always available to help you buy or sell real estate in the area and will be happy to show you Point of Americas. You can Contact us directly at (954) 383-8170. Searching for the perfect Fort Lauderdale Beach Condo, start here, and call us to set up an appointment today.